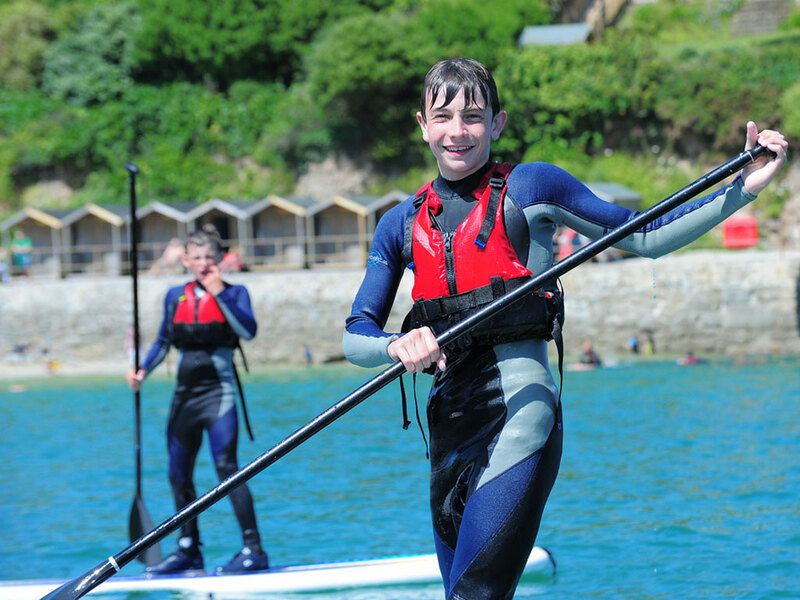 The latest craze to sweep the nation’s coastline, stand-up paddle-boarding (or SUP, for short) is a great addition to our range of watersports. 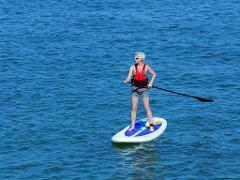 SUP can be done on a fairly high-octane basis in surf, as well as in long-distance races or short sprints. Alternatively, you can do it at a more leisurely pace to explore calmer creeks and coastlines. It is really easy to pick up and burns loads of calories in a low-impact way, as well as developing core stability. Please bring swimming gear, a towel and shoes suitable for use in the water, plus sunscreen in the summer.